Naim Ovator S-400 review | What Hi-Fi? 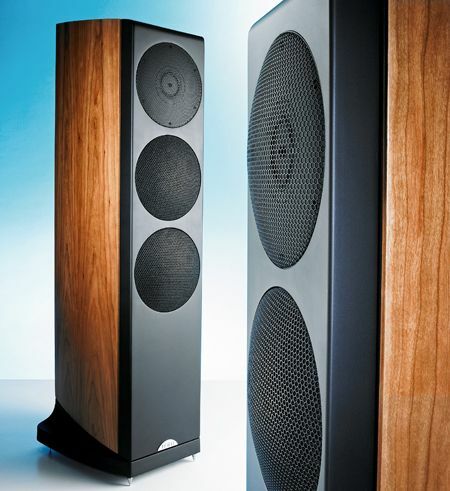 Naim makes an astonishing array of products for a company of its size. Its range starts from CD players and streamers, continues with amplifiers and tonearms and ends with speakers. You can also include system essentials such as cables, equipment supports and even music software on that list, too. But out of this impressive variety of products, we suspect nothing is more divisive than the company's series of speakers. Over the years these have been loved and loathed in equal measures, due to their single-minded approach to music replay. Perhaps more than any other Naim component, its speakers have tended to emphasise the structural elements of music such as timing and agility ahead of considerations such as tonal faithfulness, refinement and stereo imaging. It makes for a strong sonic flavour that not all have liked. The Ovator S-400 is a realignment of what a Naim speaker should be. It's an attempt to retain the traditional Naim characteristics while being less fussy about partnering equipment and set-up. In attitude it's as mainstream a Naim speaker as we've heard, yet technically, the S-400 is arguably the company's most radical offering yet. The heart of this smart floorstander is a Balanced Mode Radiator unit, more commonly referred to as a BMR driver. This innovative unit covers everything from 700Hz upwards. The only way to reproduce this frequency band conventionally is to use multiple drivers and integrate their outputs with an electronic crossover of some sort. The trouble with such an approach – and remember that the vast majority of speakers made employ this kind of design – is that the crossover point invariably falls between 2-3kHz, which is exactly where our hearing is at its most sensitive. It's broadly in the band where vocals occur, and any distortion – be it of phase, dynamic or detail – is easily heard. Naim's arrangement avoids this issue, moving the crossover point of its paper-coned bass drivers to a less-sensitive part of the frequency range. Other technical highlights include an unusual design for the bass drivers' enclosure: it loads the drivers as a close-box arrangement would, but still allows a small amount of controlled air leakage. There's also a suspension system between the speaker cabinet and the heavy die-cast plinth. This decoupling arrangement removes some of the movement caused by floor vibrations leading to a more stable platform for the drive units to work from. It's clear much thought has gone into the design of these speakers. For example, there are little details such as the intentionally loose single-wire speaker terminals, which reduce the amount of vibration feed into and out of the S-400s by the speaker cables. The relatively complex crossover is mounted in the plinth, too, and is easily removable to allow a switch to active operation. Traditionally this has been the natural way to upgrade Naim's speakers. The Ovators aren't the most luxurious speakers as far as finish is concerned, but are clearly of high quality. We particularly like the understated design and unobtrusive (fixed) grilles. What of sound quality? The S-400s are still recognisably Naim speakers. They're blindingly fast and able to respond to signal changes with a keenness we rarely hear. Sometimes such speed is bought by making the bass leaner or less extended. Not here. Those twin bass drivers punch extremely hard with the likes of Major Lazer's Pon The Floor. As expected, the speakers time well too, delivering the powerful rhythmic drive from this track with pleasing enthusiasm and a tremendous sense of momentum. These speakers charge along in a deeply impressive manner with music like this. Large-scale dynamic shifts such as those from a 24-bit/192kHz files of Shostakovich's Symphony No.11 are delivered with convincing force and authority. And if you want excitement, like other Naim speakers before it, the S-400s will deliver in spades. However, there's a far wider range of talents on offer here. The sweet and delicate vocals from Little Dragon's Ritual Union are delivered in a suitably subtle and intimate manner. There's an unusual focus and solidity to these thanks to the wide-bandwidth BMR, and it's all seamlessly integrated with that powerful yet controlled bass. Given a serious amount of running-in – we're talking weeks here, not mere days – the top-end is suitably refined and airy. That said, by the highest standards it's just a little lacking in sparkle and exhibits a slightly monotonal character. Stereo imaging is decently precise, but it's the Ovators' wide dispersion that impresses more. This trait gives a wider than normal listening sweet spot, which is in stark contrast to many rivals. The S-400s deliver the kind of presentation that brings the musicians into your listening room rather than transporting you to the recording venue. Either way, it's more a question of taste than outright quality. These are ambitious speakers in terms of technology and performance, and on the whole they hit the target brilliantly. Their presentation is still more about energy and drive than outright tonal faithfulness, but they're good enough all-rounders to be some of the best speakers we've heard at this price level. Job done, we'd say.